CTI’s PFXT Series are Class 100 Powder Free Gloves. Like all our gloves, they are manufactured for outstanding strength, stretch and fit. They offer a textured surface and are double chlorinated reducing contact sensitizers and protein content. 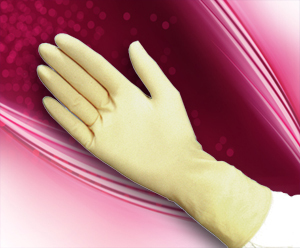 PFXT Series gloves are ISO 5 Clean Room compatible or higher for controlled environments. We offer them in both 10″ and 12″ long. They are ambidextrous, and have been tested to meet and/or exceed all standards and requirements. Available in sizes Small to X-Large.